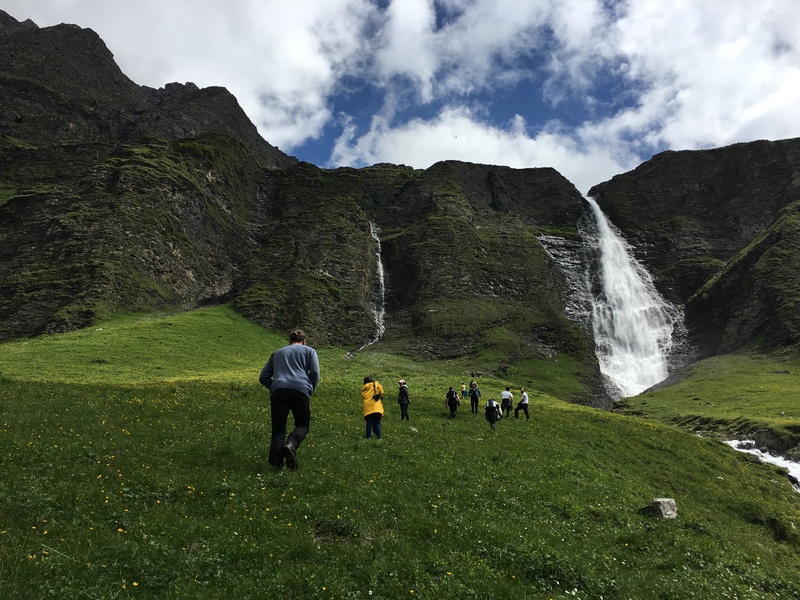 The Alps Art Academy (28th of June – 7th of July 2018) is an international summer academy in the Swiss Alps dedicated to the theme of Land and Environmental Art. With a changing thematic focus the academy takes place every two years at the Berghotel Alpenblick, 1650 metres above sea level in Tenna, Safiental (GR). The Alps Art Academy is equally aimed at artists, theoreticians, mediators and curators, bringing them together to discuss and develop the traditional concept of Land and Environmental Art in the contemporary local Alpine landscape over a 10-day program. The Alps Art Academy creates a platform for proposals for a possible future Land Art, which integrates not only landscape, nature and the environment but also new media, local society and culture. The program of the Academy consists of practical as well as theoretical modules and includes workshops and master classes, a symposium, field trips and artist talks as well as a final presentation. While the participants are accompanied in workshops by coaches in their own projects, in the symposium, the master classes, field trips and artist talks they will learn about various aspects of art production in the landscape on the basis of theoretical inputs and case studies. The results produced during the academy will be presented and reflected upon during the course of the Land Art Biennial Art Safiental (7th of July – 21st of October 2018). The publication series Documents of Land and Environmental Art deals with the latest trends in Land Art and Public Art, for the Academy and the Symposium it constitutes a reader on the topic. The academy is led by a team of artists and scientists as well as local and international experts. Participants should apply with a letter of motivation and a project idea, which can be realized while the academy is in session.